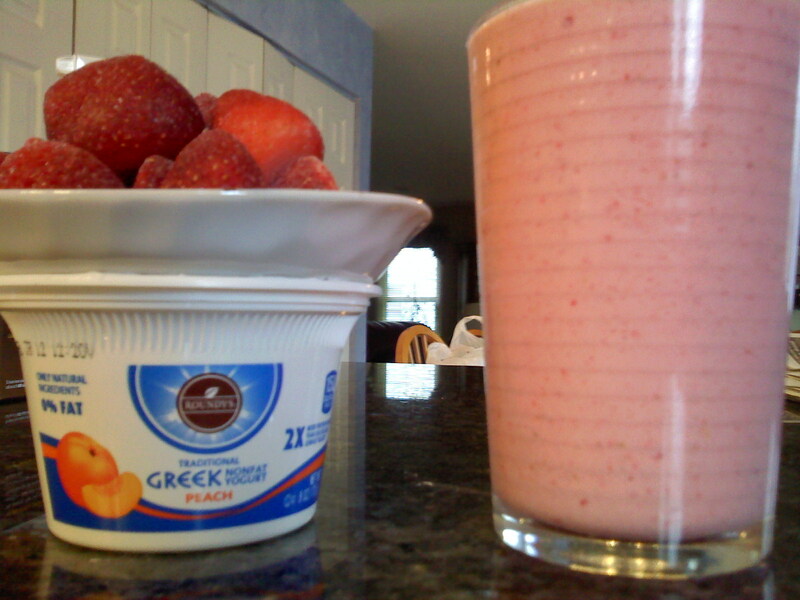 Greek Smoothie. Two Words. Two Ingredients! I’m addicted to Greek Yogurt! 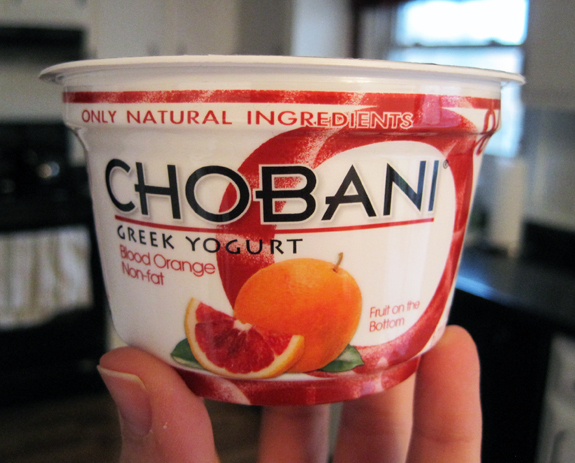 This energy packed yogurt is thick, tart, full of protein…kind of reminds me of my PINK post. It seems like an obvious mix, but it’s perfect. **I choose the flavored greek yogurts. If you use plain greek yogurt and don’t love sour yogurt, you may want to mix in between 1 tsp and 1tbsp of raw honey into the yogurt first. 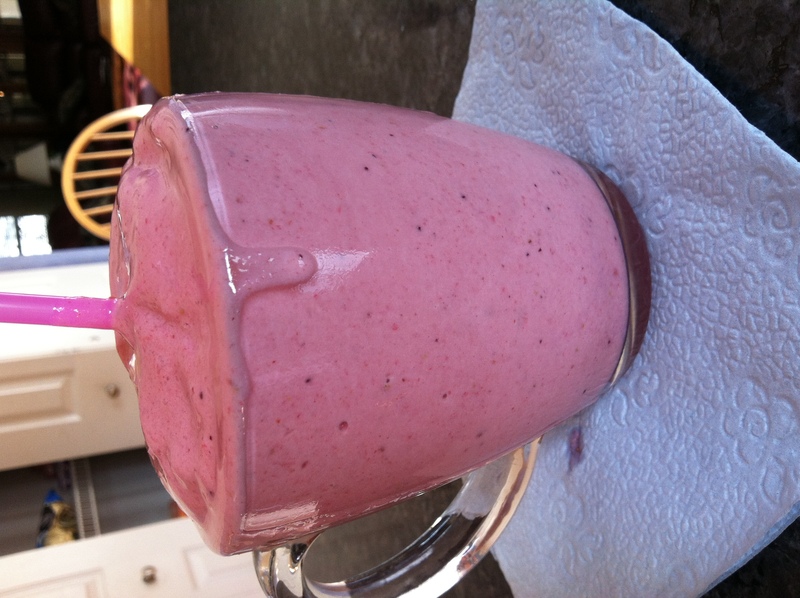 Smoothie trick: Pop your frozen fruit into the microwave for 20-30 seconds to just soften. No more chunks in your straw or pieces of fruit stuck in the blade…yet still thick & smooth. Whatever fruit you have on hand that you enjoy, frozen surprised? I have used all these fruits separately or in combinations – yum. Don’t judge me, I have one of these almost everyday. Old-fashioned blender? $. 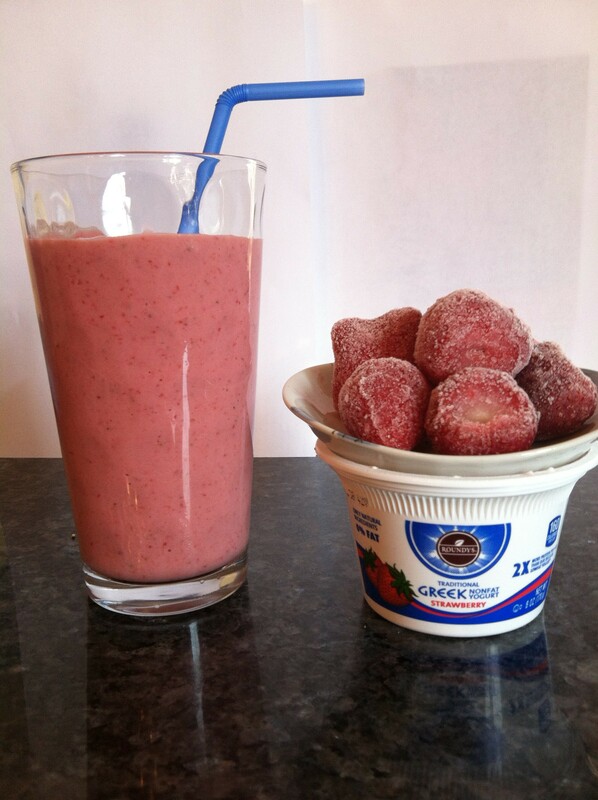 Frozen Peaches & Strawberry Greek Yogurt? priceless. delicious. 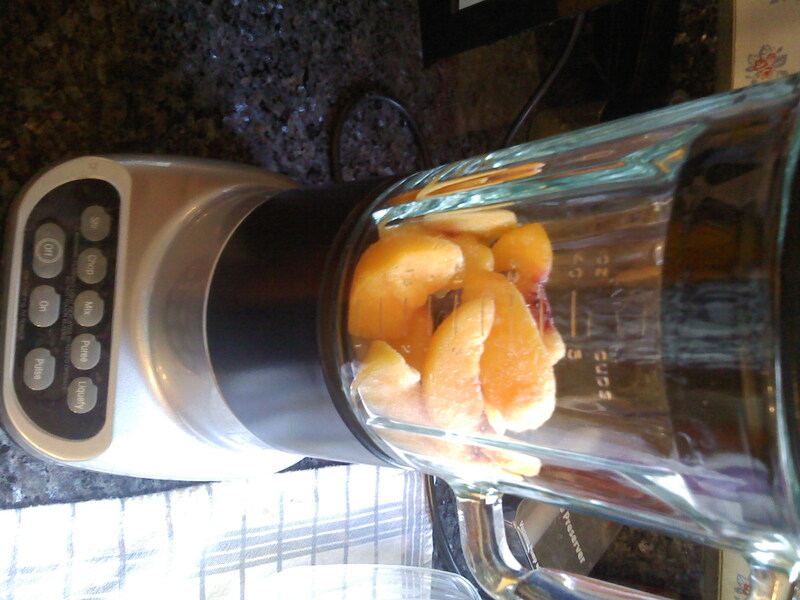 Okay, my tribute to smoothies is over for now. 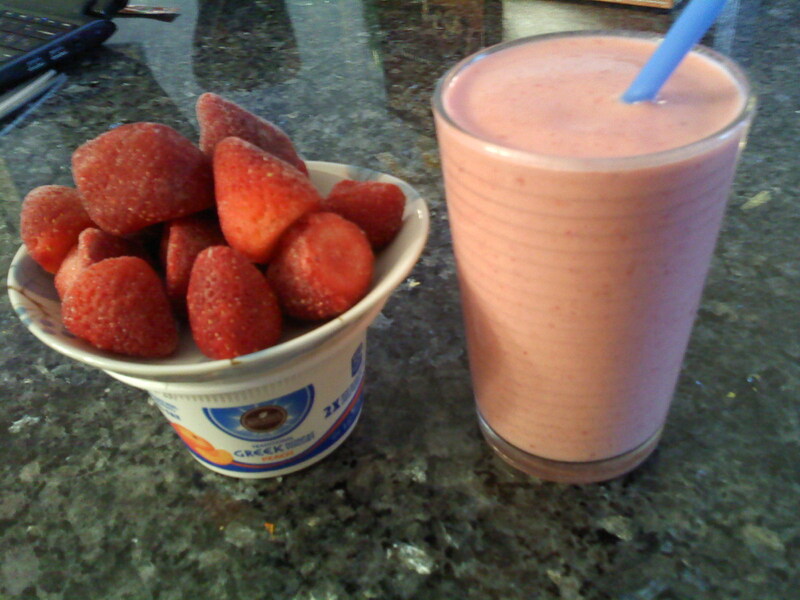 Blood orange greek yogurt & frozen strawberries and ice cubes blended in at the end. Blogging in the evening is a bad idea. To a beautiful sunset & praying that tomorrow will be a smoothie-drinking April day full of raesofsunshine! Never threw in an apple…raw and cut into pieces? I’ll need to try it out. Thanks!! I buy my chobani plain and add brown sugar. The texture and taste is amazing. Can’t wait to make this one too!